Welcome to this updated craftsman style home boasting wide plank hardwoods on main & new carpet throughout. This open concept floor plan offers an open foyer & living room. The kitchen has granite countertops & new tile backsplash. House has fresh interior paint, updated light fixtures, & all BA's in the home have updated tile & sinks. Lg master suite upstairs w/sitting room. Master BA features frameless shower enclosure & glass tile. Fenced backyard w/fire pit & expanded patios for entertaining. Junior olympic pool w/children's area & water feature at the clubhouse. Driving Directions: Dallas Hwy North to left on Lost Mountain then turn right into subdivision and Ruby Mountain Street is the first left. 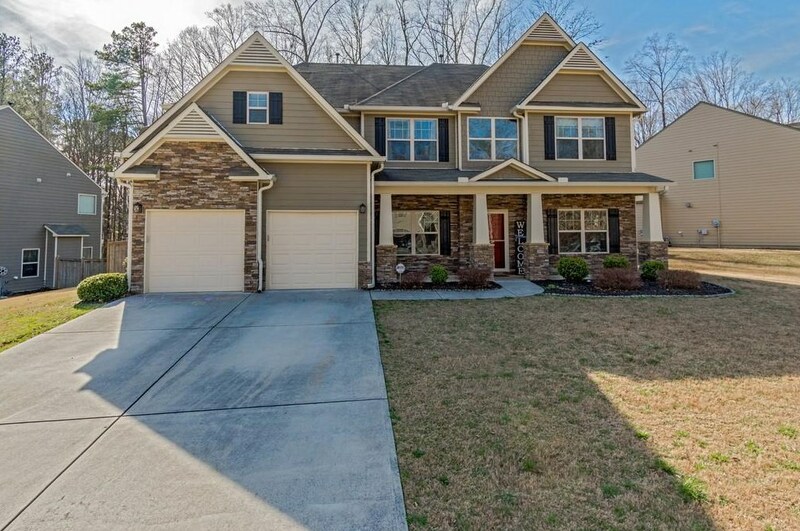 1936 Ruby Mtn Street, Powder Springs, GA 30127 (MLS# 6511540) is a Single Family property with 5 bedrooms and 3 full bathrooms. 1936 Ruby Mtn Street is currently listed for $324,900 and was received on February 27, 2019. Want to learn more about 1936 Ruby Mtn Street? Do you have questions about finding other Single Family real estate for sale in Powder Springs? You can browse all Powder Springs real estate or contact a Coldwell Banker agent to request more information.